Whine And Cheers For Wine | The Wine Experience and everything that comes along with it. Such was the impression made by this wine that I actually noted I need to be drinking more Merlot if it tastes like this! in my tasting notes. This Paso Robles 2016 Broadside Margarita Vineyard Merlot left quite the mark. I’ve known about the Broadside Cabernet Sauvignon for quite some time having featured it at our local Whole Foods. Every time we highlighted it with sale pricing, event tastings or big displays, its following would grow. Many a new customer returned for more. Broadside produces wines focused on purity and true varietal expression. We favor balance and simplicity, giving consumers a window to the promise of the central coast and varietal character.. Our wine-making employs a natural approach in that our wines are minimally handled to best express the grape, site and vintage. We harvest at lower sugars and use little to no new oak to create wines of balance and finesse that make sense on the dinner table. As a big fan of California’s Paso Robles wine region I have always been drawn to anything Paso Robles [click for more info]. I hate to generalize but I have never had a bad wine from this Appellation/AVA (American Viticultural Area) , and I can only say that about three to four sites around the world. Paso Robles Wine Country is an American Viticultural Area located in the San Luis Obispo County, California. It has approximately 40,000 vineyard acres planted with wine grapes, and is well known for its heritage varietal Zinfandel, Cabernet Sauvignon, and Rhône-style wines. Although its been a while since I poured Merlot, they have tended to be from Washington State wineries. Big, bold and expensive comes to mind. So I was blown away at the on-line pricing of under $20, if available. This wine easily tastes twice as expensive if not even more. all of our fruit is sourced from sustainable sources. These vineyards are either SIP, GLOBALG.A.P. certified, or both. With our long-term commitments and direct involvement in these vineyards, we steer farming towards a simple, hands-off approach keeping both chemical (organic or otherwise) and water use to an absolute minimum. We are the first solar-powered winery in Paso Robles’ Tin City, and have taken several steps beyond that to limit impact on our immediate environment. On the nose; red fruit, tropical fruit (fig pulp), slight dry wood notes (vanilla, tobacco, leather), most likely from the fact that they use used oak barrels versus new wood. On the palate; balanced! (yes with the exclamation point), red fruit at the front, not a fruit bomb, more so dark fruit notes on the finish, luscious legs on the glass, and the previously quoted: I need to be drinking more Merlot if it tastes like this! Yes, with the exclamation point again. which features velvety tannins and lingering dark berry character. Brian and Stephy Terrizzi are the winemaker-viticulturist power couple behind Broadside wines. Their dedication to this wine and the wine-making process shines through with their message making it to the wine buyer, the glass and the wine drinker. If you get the opportunity to try this wine, do not hesitate. You may even come to regret, as I now do, having only bought one bottle….. ¡SALUD! As I went through wines in search of tonight’s perfect choice, the 2009 Louis M. Martini Sonoma Cabernet Sauvignon called to me. I wasn’t particularly looking for a California Cabernet in fact I was looking for anything but. Yet, this bottle had me at 2009, the vintage. Yes, my first inspiration was the vintage. But as I researched the wine itself and came across the Wine Advocate quote, I just knew the wine Gods had pointed me in the right direction: “should keep for up to a decade”, well let’s see about that! DAMN! or YES! they were right. Referring to wine reviews and winemaker notes describing this wine to be big, bold, corpulent, hedonistic, and high-toned it is now interesting to experience and taste how the aging process of ten years enhanced and yet softened this wine. Rich dark dried or candied fruit on the nose; plum, blackberry, prune, raisin. Compote like. Same on the palate with the addition of an earthy and vegetative taste. Now ten years after harvest, I found it to be as smooth as a big Pinot Noir from Oregon or South America, yet still a California Cabernet. Inspiration found, how lucky am I……. ¡SALUD! I am finding it quite interesting to revisit previous posts on Whine and Cheers. Comparing vintages from the same producers adds to the excitement. A recent promotional Amazon/Whole Foods Market wine program did the job of reminding me about Mount Veeder Winery and their 2010 Napa Valley Cabernet Sauvignon. My original post is provided below. Fast forward to 2018 as I find one lonely bottle of the 2014 in a display of the 2015 vintage. Cue the spotlight and celebratory music in the background. Yes, I realize I am a wine geek. But I am a wine geek that just found a highly regarded 92 point rated wine that I may never see again! Deep ruby in color with intense dark fruit aromas of black currant, followed by wet earth, mushroom, and caramelized sugar. Hints of dried herb and the classic California bay that is a signature of Mt. Veeder round out the nose. Earthy flavors that evoke the mountain follow, along with dark chocolate, black olive, and sweet bay leaf. The palate is long and rich with classic cassis flavors that linger. The soaring structure and acidity ensure its age-ability for years to come. Blend: 82% Cabernet Sauvignon, 10% Merlot, 3% Petit Verdot, 2% Cabernet Franc, 2% Syrah, and 1% Malbec. Herbaceous with red and dark fruit on the nose, including; white pepper, bay leaf, forest floor, mushrooms and some alcohol that soon dissipates. For me it was fruitier on the finish than at the front palate. Although a bit tight at the start, decanting or aging will make this a smooth beauty in the days to come. 92 Pt James Suckling – Aromas of plums and terracotta follow through to a medium to full body, soft and velvety tannins and a juicy finish. Delicious already. Drink now or hold. So glad I got to rediscover this old favorite. Happy to also see that a new vintage is available so I have some catching up to do. Did someone say 2015? 2016? I need to start making some room in the wine cellar. ¡SALUD! The excitement was in the air recently with the new 2017 vintage release by The Prisoner Wine Company. Weeks before, the previous vintage had sold out and I had prepared my team for the barrage of daily questions as to why it wasn’t available or when new product would arrive. The past couple of Prisoner releases I had noticed that the wines improved with age versus being good upon release. Those days are behind us now and I am happy to report that not only do we have stocked shelves but the 2017 is drinking beautifully now. A lot has changed in the wine world since I wrote about The Prisoner a few years ago. See original post below. The one constant or I should say “constants” are; excellent quality and the popularity of the brand continues to draw excited customers. On the nose detected syrah and zinfandel notes along with a light oak woodiness. On the palate, although fruit forward at the front palate, I was very surprised at its restraint compared to what I expected. I found the finish earthy and with a bit of alcohol detected. While decanted it started to open up nicely and quickly. As mentioned above; surprised that the wine was drinking so well now. While thinking about writing this review I decided to take a peak in the wine cellar. Okay, one of my wine cellars. I was very excited to find 2007 (!) and 2013 vintages awaiting my trial! I think I may enjoy this “being taken Prisoner” part of my job…. ¡SALUD! After many years of hearing about this wine and its fabulousness I finally had the chance to partake thanks to having received the 2008 vintage, a 92 pointer per Wine Spectator, as a birthday gift this past year. I now know what all the hoopla is about and can see why The Prisoner has and continues to develop a following selling out year after year. To think I was able to cellar mine for 6 months before finally letting myself be imprisoned. Unbeknownst to me the 2008 has been sold out for a while now, along with the 2009. For the most part only the 2010 is now available, running approximately $28-38.00. This Orin Swift Proprietary Blend contains mostly Zinfandel and Cabernet Sauvignon with smaller amounts of Syrah, Petite Sirah, Charbono and Grenache also, coming across as very well-integrated. Opaque and ruby garnet in color I detected; leather, black pepper, cedar, raw green pepper and dark ripe fruits in the nose. Peppery on the tongue I detected flavors of; blackberry, vanilla, spice, cherry, the acidity of plum. Fig, raisin & prune as it opened and even more so in the long finish. As a wine student, educator, buyer and lover I truly enjoy discovering new varietals and regions. Sometimes I come across them myself or am guided to them by vendors, distributors, customers or friends. Petit Chablis falls into mostly the customer category. I’ve had many a customer refer to Petit Chablis as a varietal when in fact it is a region or better yet an appellation of the area known as Chablis, in Burgundy France. Within Chablis and its sub-regions; A dry with little to no oak Chardonnay is the required grape varietal for wine making. Petit Chablis has a tang of ozone about it which calls for oysters, raw fish, and prawns (raw, grilled, or in sauce). It also makes a willing partner for small river fish (fried), grilled sardines, and numerous other fish species. But above all it is its frisky and energetic character which constitutes its charm. It is masterly with fried eggs and omelettes, as it tames their heaviness in the mouth. In the same way, it lends definition to tripe sausages (andouillettes) and snails (escargots). Goat cheese is perfectly at ease with its roguish appeal, as are pressed or hard cheeses such as Gouda or Gruyère. Its freshness and simplicity make it an ideal wine for summer salads or as a pre-dinner drink – try serving it with savory puff pastries (gougères). Petit Chablis although highly regarded is not that well-known by much of my customer base. That said, we do carry one example of it in our French wine area and I am happy to report I find it worthy. Having wanted to try it for a while I finally got a chance to sit down and ponder about the 2015 Laroche Petit Chablis. Beautiful pale straw yellow color in the glass. On the nose; fruit at the front with a mineral background. On the palate; medium bodied, again with green fruits at the front, a nice rich roundness in the mid-palate followed by minerality with great acidity. Somewhat reserved overall not bold. It is interesting to note the difference between a bold California Chardonnay and this french import. I see where this would work very well with the before-mentioned goat cheese, salads and seafood whether cooked or raw. To me when pairing, this is closer to a Sauvignon Blanc than to the California style Chardonnay of late. I am looking forward to sharing this wine with customers and friends who at the time may not know what a Petit Chablis is but I guarantee they will not forget anytime soon. My lunch with Orin Swift a.k.a. David Phinney, yes THAT!! 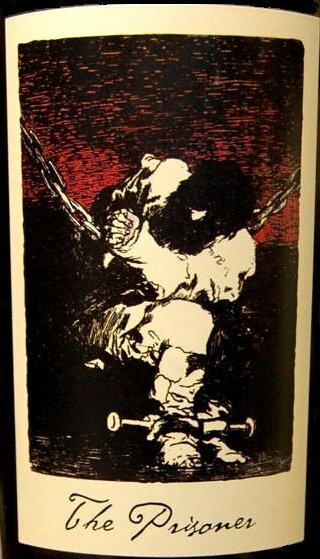 Orin Swift. The master wine-maker originally behind such incredible new-world wines such as: The Prisoner, SALDO, Locations, Blindfold, Machete, Thorn, Abstract and many more. The setting, Cafe Boulud at the Bazilian Court in Palm Beach, just steps from Worth Avenue. Not a bad way to spend my afternoon off if I do say so myself. The meet and greet afforded us a couple of hours of quality time with David, we’re on first name basis now, where he spoke about growing up and his introduction to the world of wine, his many wine projects and even his family and favorite truck. Happy to report Mr. Phinney is very down to earth and has a fun sense of humor. The group of about twenty five wine loving fans not only got the chance for one on one conversations with the Master himself but also enjoyed Cafe Boulud food pairings with a multitude of Orin Swift wines. Included was 8 Years in the Dessert. A mostly Zinfandel eight-pack gift set being sampled in public only for the third time ever. Usually available to wine club members which by the way has a six month waiting list. Patience is a virtue some say. David Phinney would know. The name of this set is based on his non-compete clause after selling off The Prisoner Wine Co. Wines sampled, all pictured here; Blank Stare, Mannequin, Abstract, Machete, 8 Years in the Dessert, Mercury Head, Papillon and Palermo. Again, what a way to spend an afternoon. How lucky am I? Having enjoyed and written about some of these very wines I never imagined I’d have the opportunity to meet the man, the legend, the master behind these incredible game changers in the wine industry. Can’t wait to share his stories and mine with all our customers.